Today we were updating one of the bot servers and it got stuck during the reboot. The operation which usually takes 2 minutes took much more time to complete. 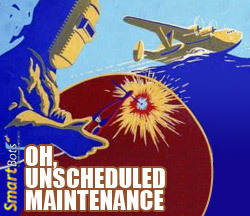 I’m deeply sorry for the outage, we will add 3 complete days to all affected bots (1 to compensate the outage and 2 more to thank you for understanding). Indeed, we are also doing some changes to our backup servers management policy! 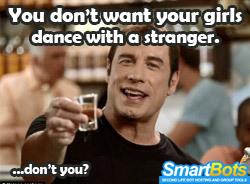 No more dancing with strangers! SmartBots bots are able to accept script animation requests (the ones with a permission request pop-up). It was a bit annoying that they were accepting all requests (which made them being bitten, dancing with strangers etc). We’ve just added a new option which enables your bot to decline animation requests. There are a few options: accept everything (the old behavior), accept no animations or accept only the owner’s animations (the new default). Please note that it may take a few hours to update all bots to the new software version. If you experience any issues with the new option, please contact SmartBots Support. 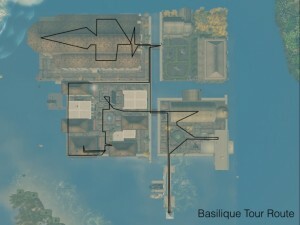 Waypoints Just Got WAY Better! Stand – Tried of making your bot sit? Tell it to stand! A new option has also been added – Restart if Stuck, enable this checkbox to make your bot start over if it gets stuck during a walk or run command. Read an article written by Canary Beck and check the live tours here. 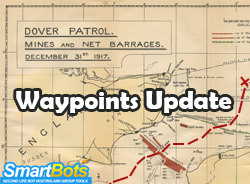 For a limited time only enter coupon code “GUIDEME” for 25% off of the Waypoints Navigator module!